Ridesharing has made quite an impact when it first came to the market in 2012. 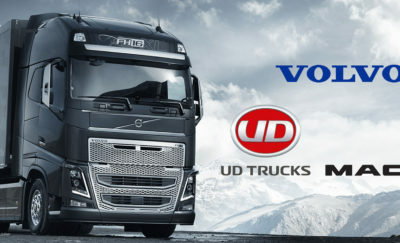 The service has exploded across the country and globe and in several markets and has already overtaken taxis as the leading vehicle transportation option. Uber, the most prominent amongst the rideshare vendors, has led the charge in disrupting the century-old taxi monopoly and has brought a new generation of urban transportation options to cities throughout the world. Uber started operating in 2009 but it wasn’t until 2012 when the UberX service was introduced and ushered in a new era of transportation catering to a new 21st-century mindset. Since then, this disrupting service has rapidly expanded. With the rise of Uber come other competitors providing exactly the same service. Uber’s ridesharing services with dynamic pricing and real-time availability have kickstarted an industry that has quickly led to stiff competition from new players like Lyft, Juno, Gett, Curb, and dozens more. Globally there are now approximately 80 rideshare companies, with 41 in North America alone, and the number is steadily rising. With so many new players in the rideshare space, competition for services and new users is stiff. 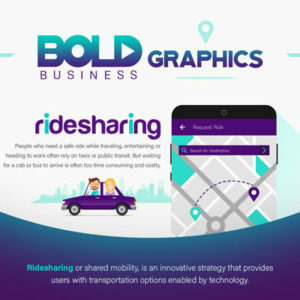 This shakeup has inspired a new company to come up with the bold idea of creating a third party app which provides a complementary service and solves an emerging problem for ridesharing customers. Called Whipster, the app is like the Trivago for ridesharing; an aggregation app. This app compares rates and prices for rideshares, bikeshares, taxi, and public transportation and is currently live in 400 cities throughout North America. This way, a passenger only needs to open one app, Whipster, and not have to look at multiple vendor apps to manually find the best rate. What is the Bold Idea Behind Whipster? “The bold idea behind Whipster is to bring consumer services to the rideshare industry, to be able to compare rideshares like a hotel, an airline, or a car rental service like in Expedia or Trivago, and bring that to the consumer. The idea is that the rideshare industry is young and growing. Several years ago, there were just two vendors – Uber and Lyft, but today there are 41 vendors in the industry. That kind of growth in the rideshare is going to demand aggregation for consumers so they are able to price and compare their options just like you would an airline industry,” explained Russel Olinger, CEO, and Founder of Whipster, Inc. He adds that today’s slew of ride-sharing vendors include special or niche services such as those offering pickups for elderly passengers, pickups for children, scheduling services and carpool schemes. While competition and variety are always good, it could leave a passenger confused. “The slogan for Whipster is ‘Driven By You’,” according to Olinger. “Essentially, what that means is every option is available to the consumer and you get to drive your decision. You get to drive your choice. Whipster is different from other aggregators because we are approaching this as a full-ground transportation platform where we offer the bike-shares, the public transportation, and the rideshares,” he adds. Whipster put in a lot of work in developing its information system – offering valuable input to passengers who compare biking vs. taking a cab vs. booking a rideshare in order to get to their desired destination in comfort and in the shortest amount of time. Whipster also factors in surge rates when making its comparison. When a ride-sharing app like Uber is activated, it calculates a price which includes a surge charge. The surge charge is a dynamic pricing model which adds a premium to the cost of the ride based on the availability of drivers. When there are fewer drivers in the area, the cost of the ride becomes higher. One reason for drivers not being available to serve some areas could be heavy traffic, which of course keeps drivers from getting their passengers to their destination faster. Another possible reason is if the drivers do not frequent the area entirely. Either way, Uber’s perspective is that the surge helps in two ways: it helps to dissuade riders from calling an Uber during peak periods, and it spreads out the drivers to areas where the rides are needed. The aim of Whipster is for the user to have a cheaper ride. In addition, the passenger would be able to choose between sedans, SUVs and VIP vehicles. With the same practical pricing model in use with other ridesharing apps that charge surge rates, there would still be differences in prices due to the differences in service demands for each of these apps. Adding to the pricing variations, many newer competing rideshare vendors do not charge surge rates as part of their competitive advantage. This is where Whipster’s bold innovation comes in. When a rider wants to call for a ride, he or she uses Whipster, which then pulls up all the various rideshare services available at that moment. The rider can see all the prices and availability for his or her destination. As the customer, he or she is in the position to choose which one is the cheapest or best option. The rider also gets to view rideshare carpooling services, as well as greener options like bike-sharing hubs and public transportation options. “It’s good for a taxi. It’s good for the consumers, primarily. Often, you find and you hear about stories about how Uber and Lyft will surge. Sometimes, when they surge, the taxicab is considerably cheaper. People who are really price-conscious are not willing to pay that fee to Uber and Lyft. And that fee is sometimes two or three times the cost of standard Uber or taxi. Whipster provides that information for the user to make the best decision. The best option for their particular needs,” Olinger explains further. Whipster presents an intelligent and practical alternative to the riding public. Here, information is aggregated providing the passenger the power to choose. There are also several other apps which have the same functionality. However, being the first out of the gate allows some luxury for Whipster to grow. As long as the ridesharing market is growing, expect Whipster to grow as well. Additionally, Olinger says he sees Whipster becoming instrumental in the growth and expansion of companies in the transport industry. It sees itself as a medium to add more players into the niche currently held by very few companies. “Everybody knows about Uber and Lyft. I like to refer to them as the 8,000 and the 800-pound gorilla respectively. But for those guys that are, obviously they’re starting in smaller cities like LA; or in Austin, Texas; or San Diego; or the variety of other locations they are at, most of them only currently function in one city. We provide them an actual opportunity to grow as well,” the CEO said. Take the case of Bounce, a company in San Diego that plans to expand to Phoenix, LA, or Las Vegas – cities where Whipster is already growing its user base. With little to no marketing expenditures, that company would instantly appear in Whipster in those markets, thus gaining immediate access to tens of thousands of paying users ready to hail a ride. Whipster has also designed a proprietary scheduling system. The intent is to solicit a traditional taxi, black car, and limo services. Smaller companies that may only in exist in one or two markets. “A lot of smaller companies don’t have the resources to compete with Uber or Lyft. What Whipster is aiming to do is also provide a platform to be able to compete again in a modern way. So we can allow them to compete by listing their services, providing them access to users who are only looking for apps and downloads that those companies don’t usually provide in terms of ride availability and price points. 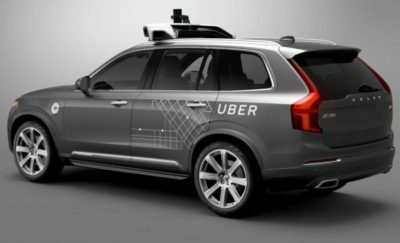 By including that, we see the opportunity to go after the taxi industry, the black car and the limo service industry, and give them a foothold back in the game by providing the technology for them so they don’t have to worry about the technical arm to be able to compete; the financial arm to be able to compete with Uber and Lyft,” Olinger said. Uber is expected to lead the ride-sharing market for years to come. They are currently represented in over 330 cities worldwide. Uber is valued at $51 billion, with an estimated 180 million users worldwide. The current size of the ridesharing market is estimated at $36 billion, much less than the taxi market of around $108 billion. However, the ridesharing market is expected to reach $285 billion by 2030. At some point in time, the ridesharing utilities will overtake the taxis, although that is not clear when that would happen. Recent news assures Ubers growth in the forthcoming years. Recently, Uber added Masayoshi Son’s Softbank consortium to its powerful list of investors. The contract gave Softbank a 17.5% stake in Uber; and true to Masayoshi Son’s business formula, it’s now the ridesharing app company’s biggest shareholder. Softbank initially invested $1.25 billion in Uber. This of course, addresses the elephant in the room. The real king of the ride-hailing industry isn’t really Uber but Son’s Softbank. Prior to the deal with Uber, the Japanese tech conglomerate invested heavily in Ola from India, Grab from Singapore, Didi Chuxing from China, and 99 from Brazil. Since 2014, they have invested over $35 billion into the sector including Uber. Ridesharing has reached critical mass, and it is only a matter of time before it becomes as common in other countries as it is in the United States. It is sure to grow faster in the next 10 to 15 years, and there is nothing that legislators, riders and drivers can do to stop it. It’s good that there are apps like Whipster which curate the ride selection process and make it even faster for the harried passenger.